At the beginning of January, the intention was to photograph mama Elizabeth’s maternity photos, but Miles had other plans. He came approximately 3 weeks early! Once everyone was well and back home, we waited until Miles was close to a healthy 6 pounds for newborn photos and it was worth the *weight* (sorry I couldn’t help myself). Miles was in dreamland pretty much our entire session and was an angel to work with. Isn’t he beautiful?! Much congratulations again to Elizabeth and Matt. He is absolutely precious. 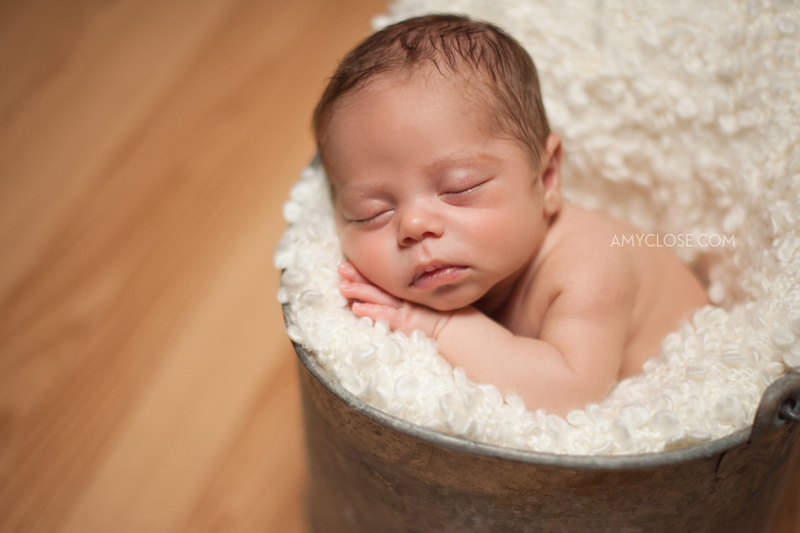 This will be one of my last traditional newborn photography sessions/post…here are a few favorites. Enjoy. Don’t forget to become a fan on Facebook to keep current on promos, updates, and drawings for free sessions. Just click on the *like* button in the box to the right! Thank you ever so kindly. Miles and I were on the same page by the end of the session…time for a nap! So cute … that hat in the first photos is adorable! Beautiful, beautiful images! So cute, So So tiny.. Beautiful!!!! I love these photos and baby Miles! I love that he looks like a little angel! Amazing photos! Beautiful pictures. Great mom and dad pics too! You both look so happy. Miss you! Miles, you are so precious. God bless you little one! Miles pictures are all so beautiful, it is hard to select which one is the best. What a slugger — congrats u2; words can’t express the miraculous gift that your family portrays in these photos.